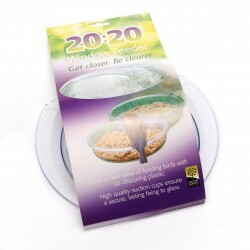 Live mealworms require a dish or a tray to hold them in, to ensure the harmless beetle larvae do not wriggle away. 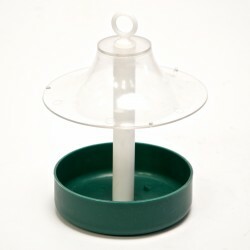 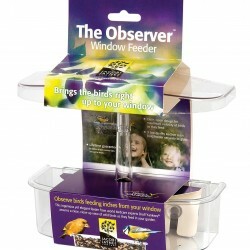 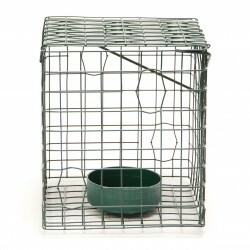 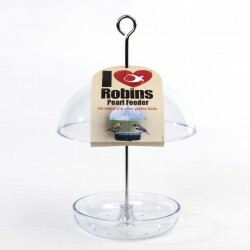 Some of our live bird food feeders also come with an outer cage, ensuring larger birds do not eat all the mealworms before Robins and smaller birds can get to them. 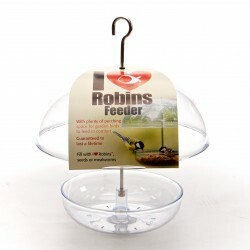 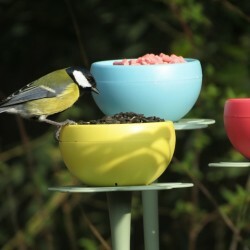 Our live mealworm feeders can also be used for other moisture rich live foods along with dried mealworms and suet pellets.